Manwalk | Honeyville Metal, Inc.
Honeyville Manwalk provides a walkway between structures. 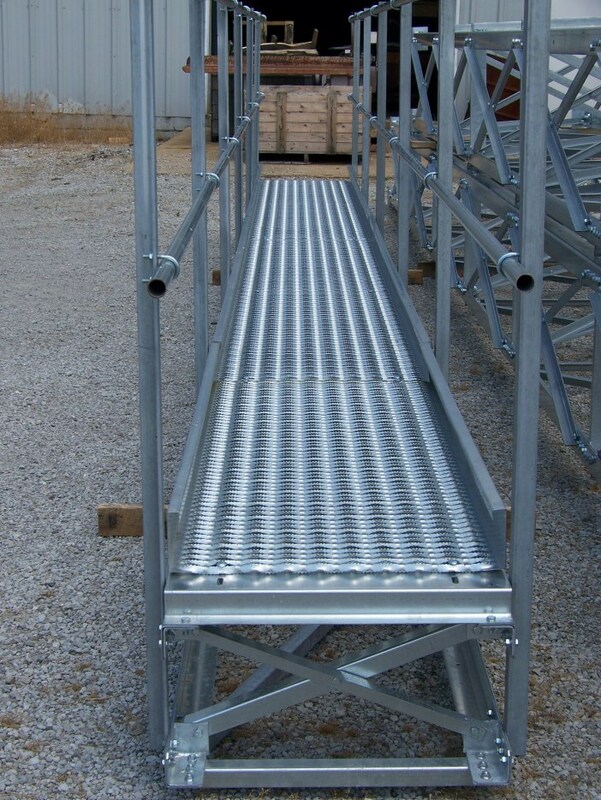 It is 24" wide with galvanized grip surface walkway and available in two models. 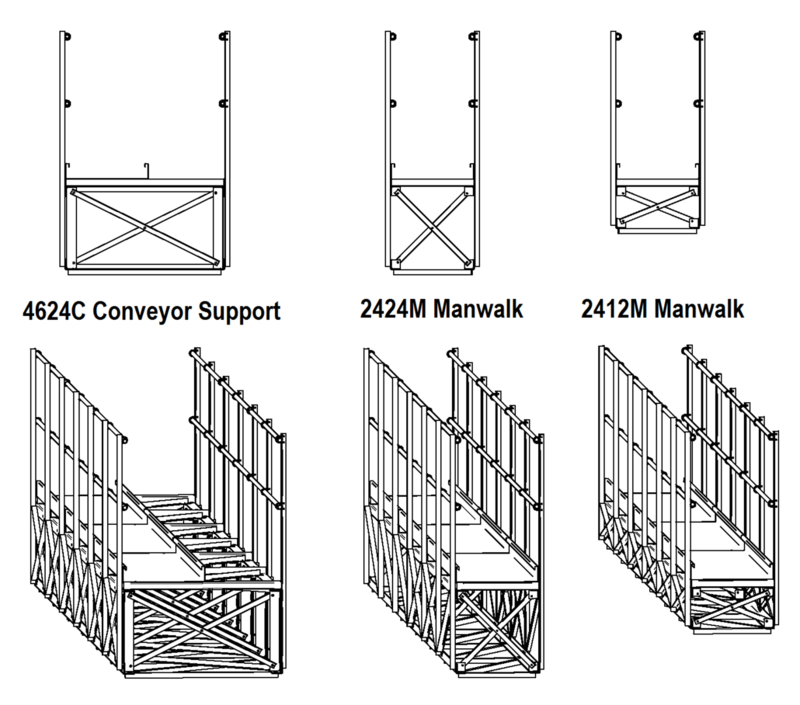 Model 2412M has a 12" deep truss section and Model 2424M has a 24" deep truss section. The distance being spanned determines which model is required. 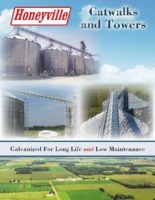 When the distance being spanned exceeds the free span limit of the Manwalk, you can incorporate a Honeyville Support Tower or Sidewall Tower. 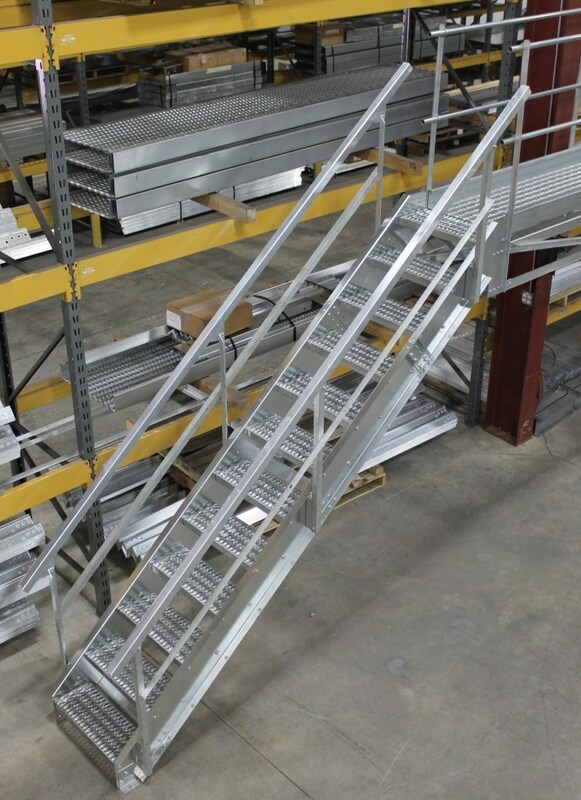 Honeyville manufactures a 24" wide stairway for accessing your Manwalk. Contact us for more information and pricing.